It's been a while since I did a blog, so after twiddling the way the front page of the site displays, it's time to post a new one. 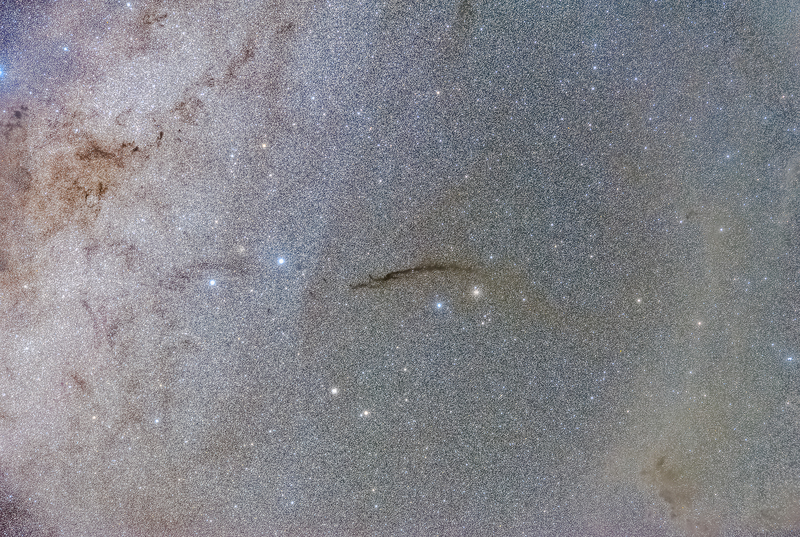 The attached photo is of my favourite dark nebula, "The Dark Doodad". What looks like a long thin nebula is apparently a sheet over 40 light years wide that we happen to be seeing edge-on. On the left you can see a few dark tendrils that are par of the coal sack nebula.